CONTEST: The RapGenius.com ¡MAYDAY! Giveaway! Do you have a talent for deciphering lyrics? Do you love winning free stuff? If so, you’re about to love RapGenius even more. RapGenius, one of the greatest things to come out of both hip hop and the internet have teamed up with ¡MAYDAY! to let fans show off their lyric interpretation skills! 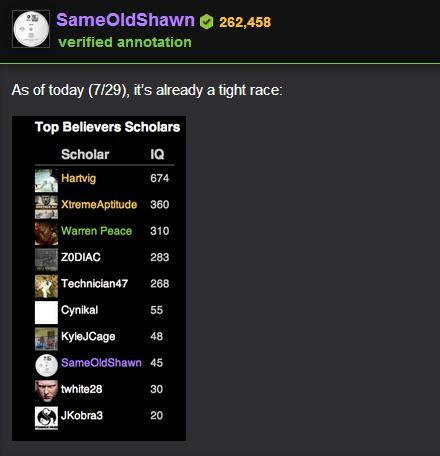 For those not familiar with the premise of RapGenius, it basically works like this: users are able to annotate lyrics for any song available on RapGenius, and the more accurate and commonly accepted annotations you offer up, the more Rap IQ points you get! For this contest, RapGenius is hooking up the user with the most Rap IQ points for ¡MAYDAY!’s latest album Believers with a FREE copy of the album! To enter, all you have to do is sign up on RapGenius’ website and start annotating! They do have some guidelines for annotations to be accepted, so make sure you’re keeping up with those (read the full guidelines HERE). Click HERE to get started on the ¡MAYDAY! X RapGenius Contest! Would you like to see more contests like this in the future? Which track off ‘Believers’ has your favorite lyrics?